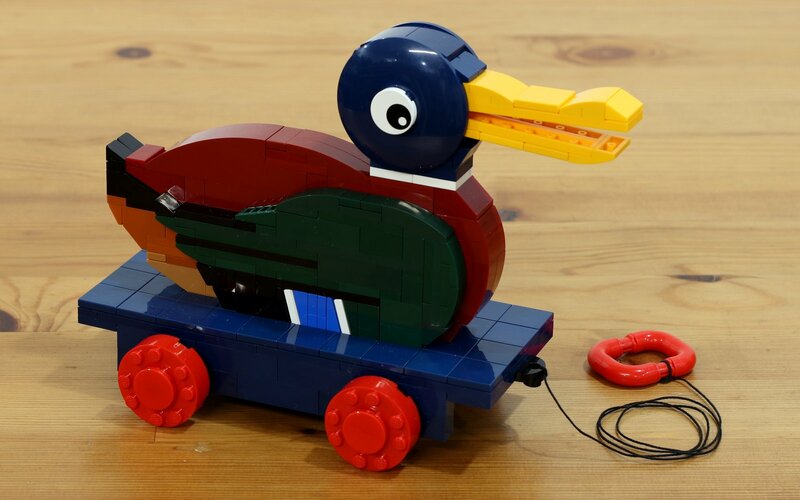 In celebration of the 60th anniversary of the LEGO brick, a replica of the wooden duck pull toy produced by the LEGO company in 1935, recreated using modern pieces. 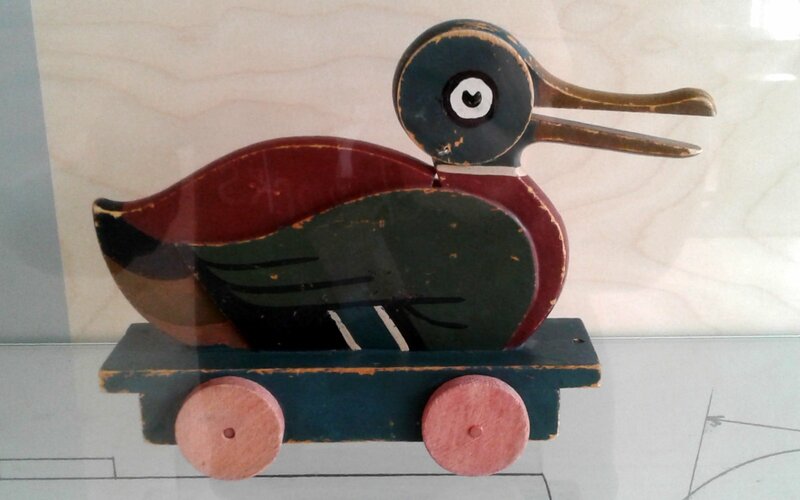 Long before the LEGO company began making plastic construction bricks, they produced wooden toys, and this is one of the first and most well known of them. 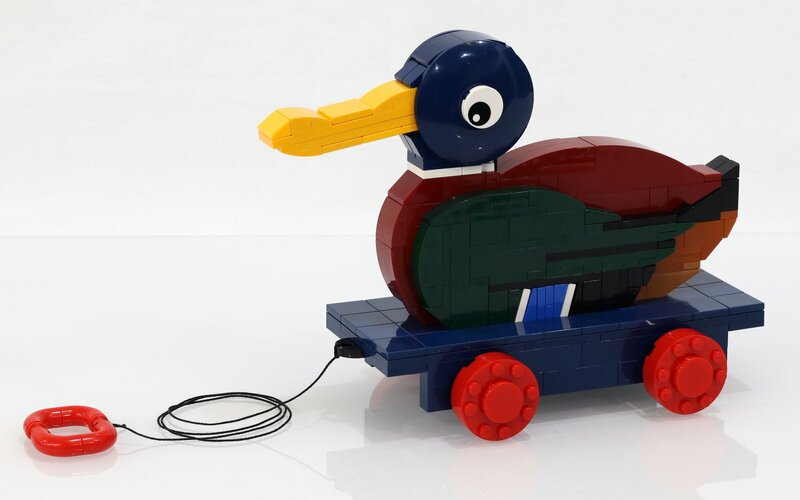 This model duplicates the functionality of the original, as the duck's beak opens and closes you pull it.